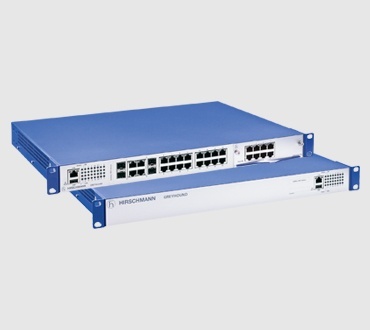 The switch features an extended range of software features through Hirschmann's operating system, HiOS, and is flexible as network requirements evolve through its field exchangeable port modules - with copper, fiber of Gigabit port options available. GREYHOUND is ideal for industrial businesses under pricing pressure - like power generation and distribution applications - but that also require ruggedized products to withstand extreme environmental conditions. Flexible - Designed with the future in mind through customizable and interchangeable media modules to keep pace with evolving network needs. Designed for industrial environments - Built to withstand high temperatures, high vibration and electrostatic discharge often found in industrial automation and power utility settings. Reliable network availability - New management features, including redundancy protocols, diagnostic features and comprehensive security mechanisms, help networks achieve high uptime.